British outfit The Vamps have done alright for themselves here in Australia at this stage. Though the pop/rock foursome has yet to crack the ARIA singles top ten, a No.3 place on the ARIA charts for their recently released debut album ‘Meet The Vamps’ shows their local audience is relatively sizeable and growing by the day. 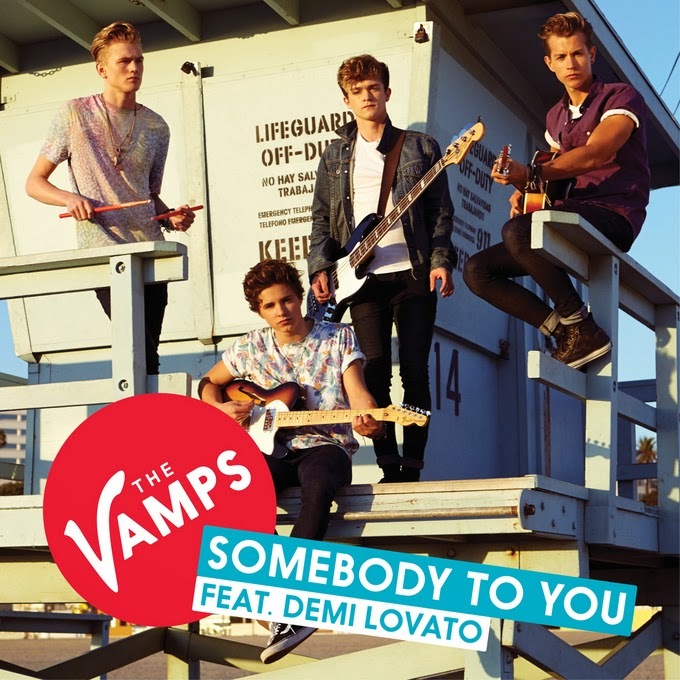 Now, just over a week before the band arrives on Aussie soil for a promotional visit, their label EMI has serviced their new single ‘Somebody To You’ to Aussie media. The fourth single from the boys’ debut album features Disney starlet Demi Lovato on guest vocals and is a mid-tempo, inoffensive pop/rock number that’s guaranteed to keep their fans onside. The Vamps arrive in Australia for their five day visit on Monday June 02. I wouldn’t say their fan base is sizeable. The #03 ARIA peak sold just as much as a #17 peak for We Can Dance on the singles chart. Then judging by the mammoth fall in week 2 it seems the diehard fans bought the physical.